The world around us has changed rapidly since the introduction of the blockchain. The blockchain technology led to the development of Bitcoin and the entire cryptocurrency market received a boost start. Today the cryptocurrency market has expanded beyond everyone’s fathom and has a market capitalisation calculated in billions. Though there are several cryptocurrencies available on the market, not everyone has succeeded in leaving a mark on the industry. If you are thinking of investing in cryptocurrency, you must always consider one thing. You must always need to invest in the ones with good market share and trust of the people. Neo, ETH, EOS and Zilliqa have gained huge popularity in the market. These Altcoins have been highly reliable, less volatile and offered the people the chance to invest their money without any hassle. Even though these Altcoins have few similarities in their algorithm and structure, they are in general vastly dissimilar. 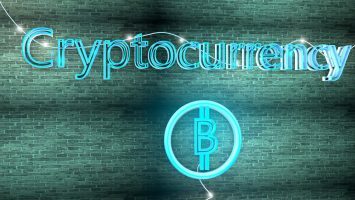 That is why; I considered writing this article in order to inform you about the aforementioned cryptocurrencies and their features in detail. Well, why wait any further? Have a look at the list below to find out. Neo is a cryptocurrency based on the blockchain technology and it is the first decentralised currency that has been developed in China. Neo uses digital certificates to protect its transactions from any mishap. Neo was incepted in 2014 with the goal of easing the operation of trade and commerce. To understand how NEO works, you must have an idea of the working of Etherum as they are very similar. It uses digital assets and smart contact platform like Etherum on top of decentralised blockchain technology to perform the transactions. So, it is fair to say that the transaction speed of NEO is much faster than that of Bitcoin. As of now, NEO is one of the top cryptocurrencies in the world. And what is more interesting is the fact that it has maintained a stable growth curve for a long time now which is mostly unseen in the Altcoins market. With a fairly large market capitalisation, NEO continues to grow strong every hour and it helps everyone to hope for a better future without directly competing with Bitcoin. Etherum or ETH has been the only cryptocurrency so far which had been able to rival the superiority of Bitcoin in the market. 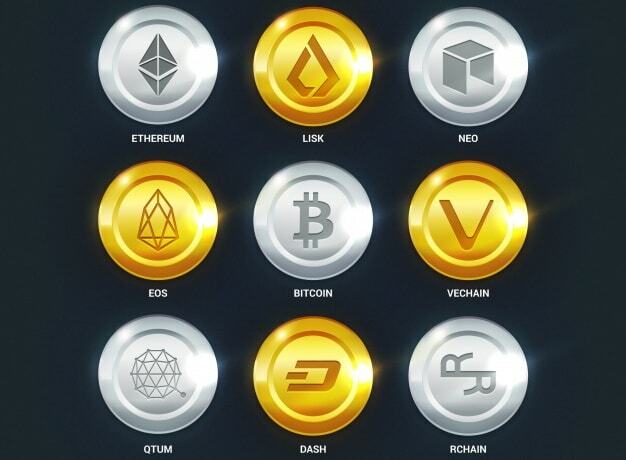 The cryptocurrency comes with highly advanced and innovative features that make it a great investment option for the people. First proposed by Vital Buterin in the year 2013 to be a mean to give tough competition to Bitcoin, the Etherum or ETH was developed by the funding from a crowdsale which took place in between July and August back in 2014. Well, I can say it has truly become the fiercest rival that Bitcoin has ever had. Etherum offers some new features too which are not offered by the Bitcoin network. Unlike Bitcoin, ETH binds all the agreements into the Blockchain ledger itself with the help of its smart contact feature. What does that mean? It means ETH offers a better hashing algorithm than Bitcoin which in turn improves its speed of transaction. Since it also runs on the Blockchain network, ETH also offers a decentralised network and it has truly proven itself to be a great investment platform. Above all, you can also use ether currency to transact money to any part of the world just like BTC. However, here is one thing that you must understand. The transaction speed that ETH offers is far greater due to its advanced hashing mechanism and the transaction cost that ETH charges are very low compared to that of Bitcoin as well as several other Altcoins. As a matter of fact, ETH allows you to conduct 52 transactions. Having said all these, I must tell you that there is still a long way to go for ETH. There are still several things that need to be optimised for a better and more user-friendly interface. Nonetheless, there is no denying the fact that ETH has successfully established itself in the industry and has been one of the leaders in the cryptocurrency market. One of the biggest problems in the cryptocurrency market has always been the lack of scalability. Plus, the inability to process the transactions within a short period of time has also been regarded as one of the major problems. Bitcoin has been struggling for a long time now to scale their resources and process their transactions in a short time without increasing the fees. Well, the blockchain technology that Zilliqa uses has been a key to solving these problems. Zilliqa is the only cryptocurrency that had an ICO at the end of 2017 as well as a coin offering in early 2018. Being the only blockchain in the market with a fully functional sharding, the sharding functionality allows the blockchain of Zilliqa to scale the resources linearly with utmost efficiency as the networks expand. There is hardly any limit to the number of transactions that Zilliqa can perform. 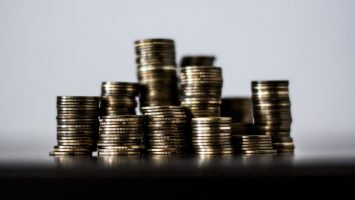 And since the sharding function scales the resources alongside the size of its network, it also reduces the transaction fee required significantly. EOS is one of the most innovative crypto coins that aim to provide users with the ability to offer a thousand transactions per second thus opening ways for large scale applications of the blockchain. EOS is also one of the best cryptocurrencies that provide its blockchain with the ability to scale its resources. But how does EOS manage to maintain this extraordinary speed and scalability of its resources at the same time? Well, the answer is simple. It uses the delegated proof of stake or DPoS method to reach a consensus. As a matter of fact, in EOS blockchain there are no miners instead there are few delegates that are continuously updated by the voting from EOS stakeholders. This helps the nodes in the blockchain to reach consensus within a moment which further results in the high transaction speed as well as scalability. It is true that all four of the above-mentioned cryptocurrencies offer scalability as well as fast transaction speed. But there are few fundamental differences in the mechanism that they use which create all the difference among them.